Referrals are raining down, students are in crisis, families depend on the school as their one stable system, then teacher stress goes up, and 13 year olds have 13 year old sized meltdowns, by the way the bathroom is overflowing and it all flows into your school data. We see it in academics, attendance, and suspension days. Through it all I have one-on-one conversations with students all day, every day in my office, the hallways, and classrooms due to a variety of behaviors that all mostly stem from one main problem. Traditional middle school as it is with traditional structures, lessons, and teachers do not work for all students. That being said, do students need to learn to do things when they don't want to? Yes. Do they need to learn appropriate outlets for anger and appropriate ways to solve conflicts? Yes. And so, I suspend students out of school because we can't put hands on each other to try and solve problems or current student behavior is a danger to themselves or others. These are the very students that are not feeling valued, or a part of a community, or like they have to prove something to be something. As I walk a student on suspension to the exit I ask them, "What more could we have done?" Most often their answer is, "nothing." because they don't know school any other way, they just know that right now, their behavior doesn't fit. Even with their answer, I wonder what would have happened if there was a better adult relationship for that student in school. I wonder what would have happened if the lesson in class didn't leave that student with idle hands or idle thoughts. I wonder what would have happened if the student had been so engaged in the lesson that it required them to stop focusing on the negative words of someone else. I wonder what would have happened if that student had school work they could be proud of instead of being proud that they got the jump on someone. 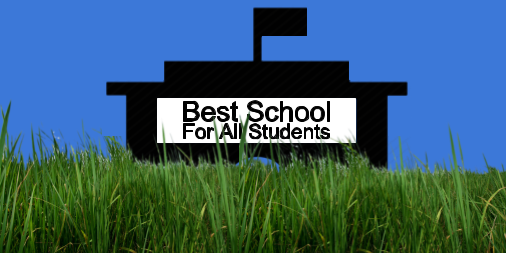 what school should, and could be. It is easy to push those questions to the side because there is always the next situation/crisis/student/family/teacher in need. Lately, I have been letting those questions linger. To begin to answer them requires me knowing the type of school I am aiming for. I want a school with high attendance because students want to consistently be there. They want to be there because they feel like a valued part of the community. We show value to students when we give them meaningful work, and when we show interest in them as the potential world changers that they are. Days get busy and if we let ourselves we can fill every minute of everyday maintaining the current structure that does not work for all students. We can easily occupy ourselves by continuing to pound square pegs into round holes. OR We can do the work while doing something everyday that begins to shape the school around the small humans that attend. This week I want to start doing home visits to students that I have sent home on multiple days of suspension because I need to do a better job of helping those students feel valued instead of rejected. We cannot stop doing the work. The need is too great. At the same time, we have to keep our eyes on the prize when we are knee deep in the weeds. 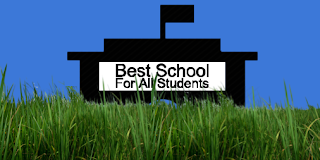 Don't let the weeds make you forget what school should, and could be. We have to let our visions of what school should be shape our decisions in the everyday work.